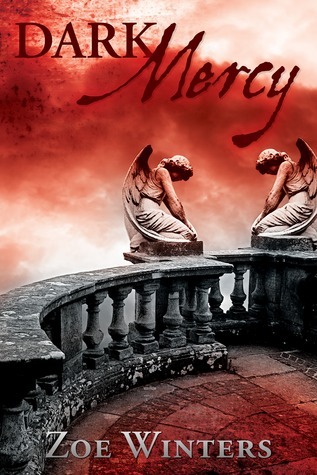 Dark Mercy is the beginning of Hadrian and Angeline’s story, not the end. Their HEA will happen later in their own full-length novel. This story is important both for the overall series and for this couple, but it’s not their HEA. Just a mild disclaimer so no one goes in with false expectations for this story. Dark Mercy is a short story in the Preternaturals series that nicely sets the stage for the full-length novel to come. As the author states, the story is important for the characters and their situation. Which, by the way, is a situation that is completely unique and not one I’ve ever read about before. So if you’re looking for something different, this is it! Angeline is quite a tempestuous character. She’s fiery, temperamental and well, maybe even a bit neurotic. However, I liked her. She has not had an easy time of being a vampire and she showed enough vulnerability to arouse compassion. Hadrian is the hero in this story. He’s conflicted like no other hero I’ve ever read about. You’ll have to read the story to find out what I mean by that because to say more will be going into spoiler territory. He’s kind-hearted but is definitely no pushover. And he does have a bit of a dark side that makes him attractive. He and Angeline make quite a couple and I cannot wait for their HEA to come out. This is a novel that any lover of steamy Paranormal Romance will not want to miss out on! It’s a great short story even without the HEA and I’d recommend reading it. I’ve read the first book in Winter’s Preternaturals series, Blood Lust, last year. Which was awesome. I rated it 5 stars. I plan to soon read #2: Save My Soul and #3: The Catalyst that was just released. In fact, how’s this for timing my lovelies, this week only, there’s a huge sale on all three of the Preternaturals novels. Blood Lust is 99 cents, Save my Soul is 99 cents and The Catalyst is $2.99. This is fate, yes? great review - looks like a keeper - or i guess i should say a reader!! thanks Donna. we are having a lot of luck with great novels lately aren't we? nice! Ooh Kat ... this does sound very intriguing to say the least. I have heard this authors name tossed around here and there and if I'm not mistaking I think I have a book by her (I will have to double check just to make sure ... hell for all we know I could very well have my authors mixed. LoL!) But back to the review ... STELLAR as always! Thanks RiN luv! She writes under Kitty Thomas as well for her erotica novels. I'm takinga a break from vamps but I'll dog ear this after my recess. Great review as always Kat! Thanks luv! I appreciate that. yes, put this one on your list. love this author's work.